Routes Africa is the key event for airports, airlines, tourism authorities, policy leaders and businesspeople to meet, do business and plan for the future. The annual networking gathering brings together more than 250 key players from across Africa and beyond for strategic networking on air service development. After a successful Routes Africa event in Kampala - which attracted more than 350 delegates to become the largest Routes Africa so far - the joint hosts, the Civil Aviation Authority of Uganda and Entebbe International Airport have officially handed over to Zimbabwe. 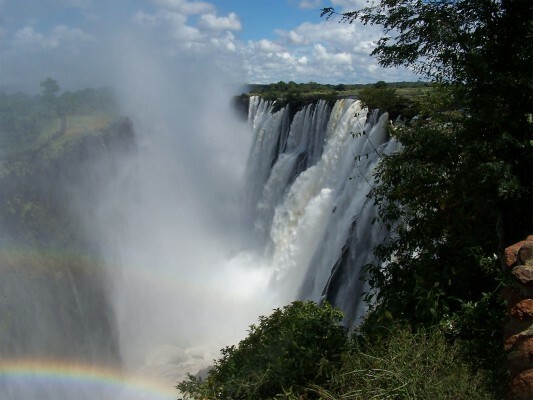 In 2014, Africa’s largest route development gathering will take place on 22-24 June at Victoria Falls, Zimbabwe, hosted by the Civil Aviation Authority of Zimbabwe. Speaking at the 8th Routes Africa event in Kampala, Munesu Munodawafa, Permanent Secretary of Zimbabwe’s Ministry of Transport, Communications and Infrastructural Development, said Zimbabwe is excited to have the opportunity to host the Routes Africa forum as it fits in well with the country’s strategic thrust to economically advance through, among other initiatives, tourism development and the transformation of the country into a regional world class transport and communications hub. Victoria Falls is a major resort town – easily accessible by air, road and rail – on the southern bank of the Zambezi River at the western end of the Victoria Falls themselves. 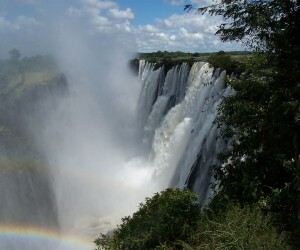 The falls are Zimbabwe’s prime tourist attraction while the town of Victoria Falls is part of the UNESCO World Heritage site and the Victoria Falls Green belt. Victoria Falls International Airport (VFA), 21km south of the town, provides easy access to Victoria Falls and is currently served by scheduled domestic and regional flights and charter flights from various parts of the world. Within the region, VFA is easily accessible from Johannesburg, Cape Town, Luanda, Nairobi and Harare. VFA is implementing a $150m infrastructure upgrade – including construction of a new runway, international terminal building and control tower – set to complete by December 2014.